Three recent tenders submitted by Charles Darwin University (CDU) staff for research projects involving sharks have been successful. CDU’s Corey Bradshaw, and Robert Harcourt and Vic Peddemors from Macquarie University, have been awarded $31,000 from the Department of Environment and Water Resources towards theirDr research project entitled Extinction risk, threat assessment and priority management actions for the East Coast population of grey nurse shark (Carcharias taurus) in Australia. The small and endangered population of grey nurse sharks isolated on the east coast of Australia is threatened principally by the hooks, lines, and nests of commercial and recreational fishers. The lack of protection for critical habitat sites, and accidental capture in the nets and lines of beach safety programs have also been major contributors. Its population is estimated to be in the low hundreds, making it one of the most threatened marine species in Australia. This project will estimate the risk of extinction of the east coast grey nurse shark population, the threats posed by particular types of fishing gear, and the vulnerability of particular aggregation sites. 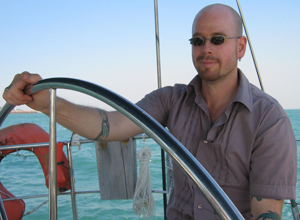 Findings of a previous analysis by Dr Bradshaw and colleagues in 2004 will be updated using a spatially explicit, stochastic extinction risk model incorporating the latest data on population demography, movement behaviour and genetic diversity to create a more accurate prediction of extinction risk. 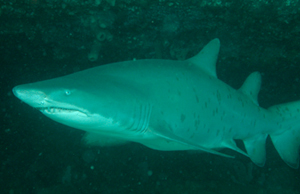 The scientific findings will be assessed against the recovery plan objectives and management arrangement associated with recreational and commercial fisheries in grey nurse shark habitats, and used to formulate a set of model based management recommendations to input into relevant state and Commonwealth processes.